ADC*E collabora con Sónar+D: ecco lo sconto esclusivo per i soci. Sónar+D è il congresso internazionale che esplora come la creatività modifica il nostro presente: qui si immaginano gli scenari futuri, influenzati dalla tecnologia e dalla trasformazione digitale delle industrie culturali. Questo incontro “anti-disciplinare” -di comunità e nomi iconici- riunisce pensatori, artisti, musicisti, tecnofili creativi, registi, designer, scienziati, imprenditori, maker e hacker. Negli ultimi cinque anni l’elenco delle personalità che hanno partecipato all’evento include Björk, Brian Eno, Bruce Sterling e Skrillex. In questo video potete scoprire di più sull’evento. Grazie all’accordo tra Art Directors Club of Europe e Sónar+D è possibile acquistare il biglietto per il festival a un prezzo esclusivo. Avrete il pieno accesso a tutte le attività di Sónar+D e all’area VIP a tutti i concerti (lo sconto è limitato ed è necessario farne richiesta). L’obiettivo di Sónar+D è che il pubblico viva un’esperienza unica in un ambiente stimolante, in cui scoprire in prima persona i progetti e le attività innovative che stanno ridisegnando il nostro futuro. Inoltre, raccogliendo un ampio ecosistema creativo, è un’occasione per avere l’opportunità di fare networking, acquisire nuove competenze e incontrare i principali professionisti del settore. Per poter acquistare il biglietto completo (3 giorni) a 220 € o il biglietto giornaliero a 120 €, basta utilizzare il codice sconto riservato ai soci ADC*E (che ti arriverà via mail): se sei socio ADCI regolarmente iscritto hai diritto anche tu alla convenzione. WHITE SQUARE: JOIN THE PROGRAM OF THE CREATIVE EVENT THAT EVERYONE IS LOOKING FORWARD TO! 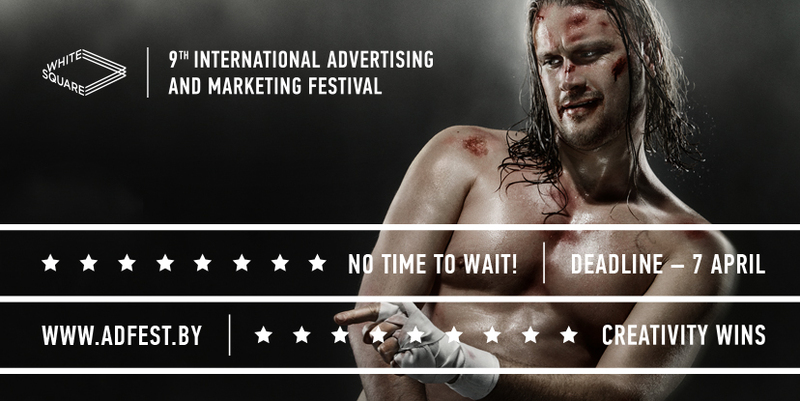 On April 27-29 IX WHITE SQUARE International Advertising Festival, one of the leading creative events of Eastern Europe, will take place. WHITE SQUARE is a major business forum of worldwide industry of marketing and communications, which annually gathers over 700 accredited delegates from over 25 countries of Europe and the CIS – world-class creatives, CEO’s and company owners, who strive for making their business successful due to creative and innovative business solutions, which are a success on the markets of different countries. CREATIVITY WINS! is the tagline of the festival this year. IX WHITE SQUARE is aiming to show how and why. The program of 9th festival has become one of the brightest and full of topnotch activities, held by famous speakers, including WHITE SQUARE Jury members, holders of over 130 Cannes Lions Awards in total. There are over 75 master classes, workshops, show-lectures, discussion panel, blitz conferences and even a one-man performance at the festival. The full program of WHITE SQUARE could be observed on the official website adfest.by. The culmination of the festival is Gala Award Ceremony, always held in best European traditions with a show program and demonstration of the best festival entries from the participants from different countries. Noteworthy part of WHITE SQUARE program is its parties, full of professional passion and excitement, allowing to relax and enjoy the creative atmosphere of the festival informally. Opening party will be held in the country-club Riviera on the coast of the Minsk Sea, and a bright Gala-Closing of IX WHITE SQUARE will take place in Black House Club. Within WHITE SQUARE Festival there will be held two contests for young advertisers – Young Creators Contest and Social Advertising for Creative Youth Contest. The ACCREDITAION provides an opportunity to attend all the events of WHITE SQUARE Festival throughout three days – 27, 28, 29 of April, including two parties. Participation fee per one representative of a company is 295 USD + VAT. Foreign participants and guests of the festival will enjoy exciting sightseeing tours in Minsk. Thus, there are a lot of reasons to visit IX WHITE SQUARE on April 27-29. Join us! On the official website adfest.by you could get the detailed information about WHITE SQUARE Festival and fill in the application form. WHITE SQUARE: 10 DAYS TILL THE DEADLINE! There are just 10 days left to enter the creative ring and submit the entries to one of the leading festivals of creativity in Eastern Europe – IX White Square International Advertising Festival. CALL FOR ENTIRIES RUNS OUT ON APRIL 7! Obviously, it’s high time to hurry up! But if you consider yourself worthy of awards and are ready to fight for victory, you still have some time to prepare your best cases, video and radio clips, logos, packages and all the rest advertising and marketing projects. The process of entry submission is simple. You should just sign up on official website adfest.by and upload your entry into an appropriate contest in your personal account. White Square includes five contests: creativity, branding, marketing, digital, social advertising. If your professional activity is related to advertising, marketing, branding, design, digital you are welcome to participate and to show everyone the power of your advertising talent! The judging at White Square is based on the Regulation of Jury work, where the rules, criteria and process of judging are stated. The Regulation is determined by principles of impartiality, objectivity and professionalism. The main criteria for entries evaluation are originality, novelty of idea and quality of its implementation. In 2016 White Square was recognized as one of the largest creative festivals in Easter Europe with high level of its organization, entries and jury cast according to The Gunn Report. Prize winning entries of White Square will be published on more than 30 industrial media-resources of Europe and the CIS. One of the best entries of White Square will be awarded with a special prize of industrial press Epica White Square Award and will be able to take part in Epica Awards 2017 free of charge and another 20 entries will be provided with 100 EUR discount for participation in Epica 2017. Upload your entries on adfest.by straight away and win! Detailed information regarding participation in White Square is provided on official website adfest.by. 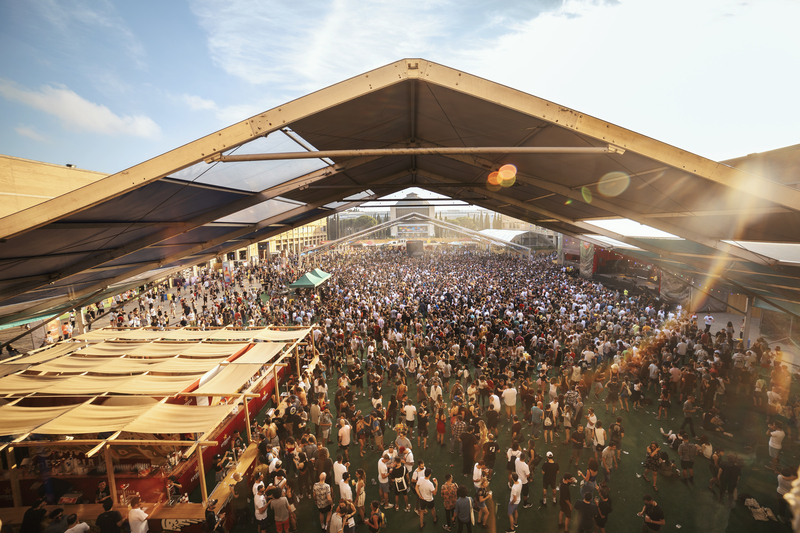 Grazie alla collaborazione tra l’Art Directors Club of Europe, i suoi club membri e il Sonar Festival di Barcellona, vi proponiamo 30 biglietti con il 20% di sconto per Sónar+D 2015. L’offerta consente il pieno accesso a Sonar+D, il Congresso Internazionale di Digital Culture and Creative Technologies. Un evento imperdibile per scoprire le nuove tecnologie e conoscere persone e iniziative che mostrano lo stato dell’arte della creatività nelle sue molteplici forme. Sonar è un festival pionieristico. Coniuga un’offerta culturale variegata, l’avanguardia tecnologica e la sperimentazione di nuove tendenze della musica dance elettronica. Richiedi il tuo accredito contattando l’ADCE a maytee@adceurope.org. Il prezzo promozionale è di 200 euro (prezzo originale 250 €). Questa offerta è valida fino al 30 marzo 2015. Vince chi arriva prima, quindi: dajje.